Similar to picture, but in a matt wood finish. Pictures of actual piano on request. A superb Yamaha piano built in the original Hamamatsu factory in Japan. 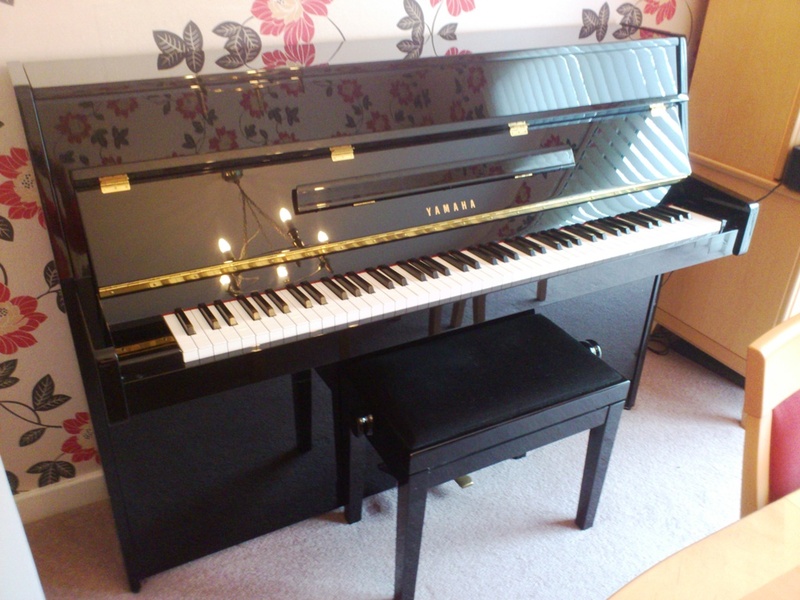 Compact dimensions (108cm tall) with 88 note keyboard and the renowned Yamaha action. Regularly tuned and at A440. Excellent condition, house-move forces sale. The current equivalent, the b1 is made in Indonesia, and costs substantially more than the asking price. Piano is in Chedworth, Cirencester. Similar to picture, full details and actual pictures on request. 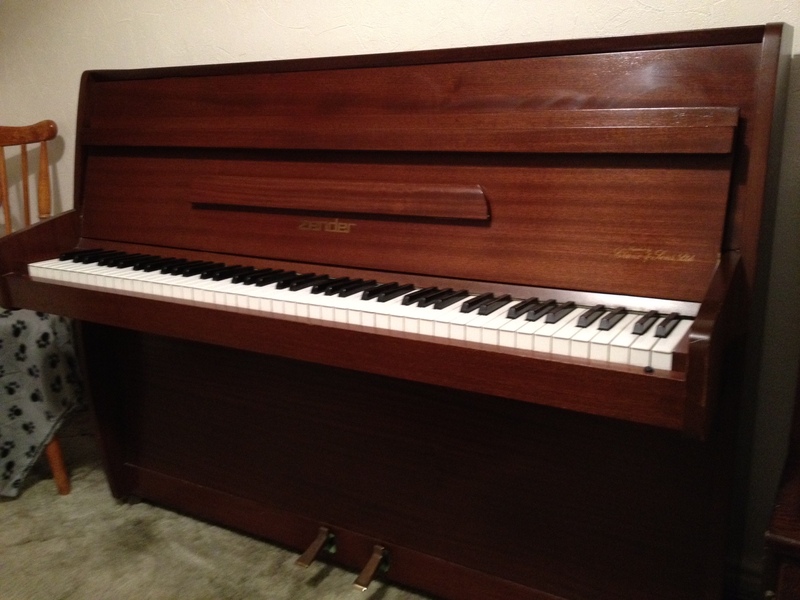 This little piano is ideal for a student or first piano, and is small enough to be put anywhere in the house. The 7 octave keyboard means tiny dimensions with very little loss of practical use. Only 53″/39″/19″. Fitted with high quality Schwander underdamper action. Stool has handy storage compartment for music.